What with yesterday having been Halloween, and today being All Soul’s Day, I thought I would try to do a more spooky fake for you guys. But rest assured, it’s a fake, so don’t get scared. Trust me, if I can handle this, you can handle this. For all that photography was intended to serve as a scientific tool to accurately record the world around us, the sad truth is that photography has been used, practically from its invention, as a tool to trick people. The simple belief that Photography as a medium could capture events as they were immediately occurring prevented people from entertaining the possibility that photographs could also be manipulated at any point. This made (and let’s be fair, makes) the general publix particularly susceptible to photographic “proof”. Especially where the supernatural is concerned. “Ghost Pictures” have been around since the nineteenth century, with many photographers using the limitations of Photography, including long exposure times and even double exposures, to create the illusion of spectral apparitions caught on film. What is interesting about this picture is that is has been doing the rounds on the Internet as it does almost every Halloween. 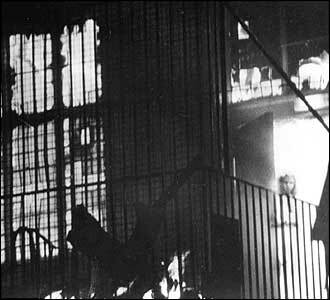 It shows the probable spectral image of a young girl peering over the balcony of the Town Hall of Wem being engulfed in flames during a fire in 1995. It was taken by an amateur photographer who claimed that the image of the little girl only appeared after the film was developed. For years people speculated as to the identity of the girl, many claiming that she was the ghost of a girl who had died in a similar fire in the 1600s on the same site. Although it was verified as genuine by photographers, it was later debunked as a simple copy and paste job, the image haven been taken from a local newspaper clipping in 1922. You could read more about the debunking of this photo (and many others!) here. In keeping with the general theme, (as in, there isn’t one) I am offering you this quick snippet about Clifford Irving. Who, in a brilliant stroke of irony, not only wrote the autobiography of the notorious art forger Elmyr de Hory in 1969, but then went on to peddle a completely fabricated biography of the famously reclusive millionaire Howard Hughes. See, the problem with being a eccentric recluse who hasn’t talked to the public for over a decade is that, well, one might not get to hear about a fake biography of one’s life until it’s almost too late. And then, when you try to call the journalists to tell them the story is fake, they might be disinclined to believe you. Which is why Hughes finally had to come out of hibernation in January 1972 to hold a press conference denouncing the book. Irving ended up serving for over a year in correctional facilities. For a more detailed version, click here. In order of the rediscovered Van Gogh that was announced earlier this week, I thought I might include this fun historical tid bit. Hugh Troy was a painter who was better known for his practical jokes than his art. Apparently during the 1935 exhibition of Van Gogh’s work at the Museum of Modern Art in New York, Troy decided to demonstrate that the crowd was far more interested in the scandal surrounding Van Gogh than his works. To prove his point, Troy snuck his own exhibit into the show: a mound of corned beef moulded into the shape of an ear, with a plaque identifying it as the ear Van Gogh cut off in 1888. Legend has it that it was the star attraction of the exhibition until the museum had it removed. Once again I must subject you to a brief entry, as I am trying to get umpteen things done at once. I shall leave you with a brief introduction to Otto Wacker,the art dealer in the 1920’s who was later accused of selling at least 33 fake Van Goghs. 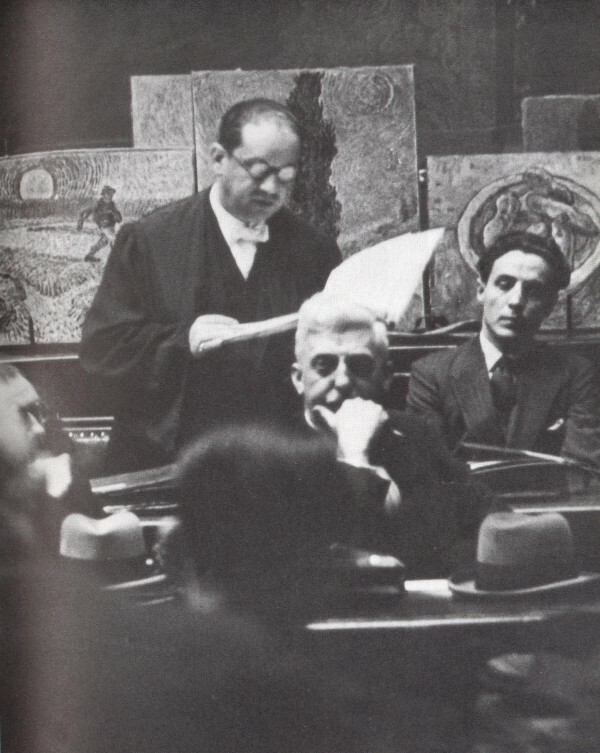 His show trial in 1932 was quite the news story, and for years afterward experts contested whether any, if all, of the paintings were genuine. And we’re back! Apologies for the break in our regular programming, I had a rather whirlwind trip to the UK, the highlight of which involved eating amazing curry in Edinburgh and then watching a Bollywood movie with some lovely people on the Fourth of July. Those of you who might know me personally can appreciate that this is pretty much Standard Operating Procedure for me. Then came the acquisition of a new job and a new apartment, roughly in the same week, which is hardly the least stressful way to attempt either. As per usual, it took a long time for me to settle on a forger to share with you today. However, it occurred to me that I haven’t touched upon any famous french forgeries lately. As I was trolling through the french forgers I suddenly struck upon one that is rather near and dear to my heart, or at least as near and dear to my heart as an art forger is ever going to get. Primarily because he is one the two reasons that the Mona Lisa will never be scientifically tested. Yves Chandron was a French forger who is implicated in the conspiracy to steal the Mona Lisa in 1911. 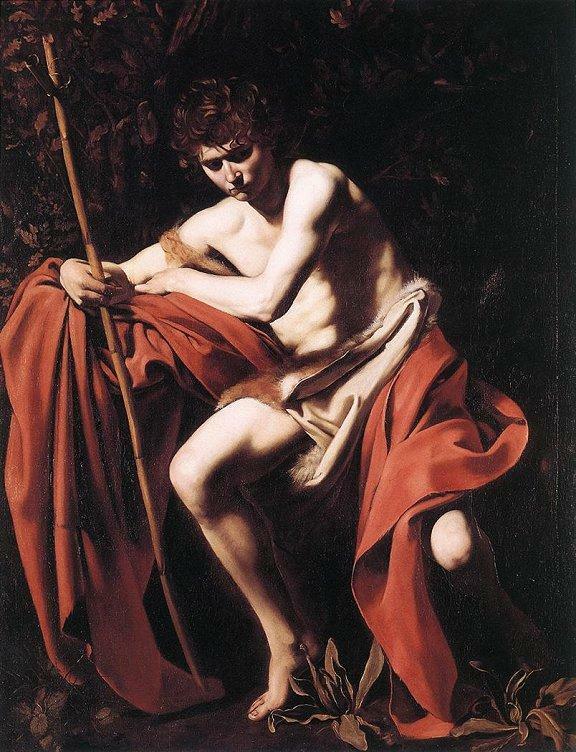 The story goes that he collaborated with a man names Valfierno, and set about producing six copies of the painting while his accomplice worked out how to steal the painting. This way they could steal the painting, keep the original and then sell six copies to respective millionaires who would a)pay anything to have the Mona Lisa and b)be too scared to ever tell anyone they did. So how do you go about stealing a national treasure? Simple. You find someone who worked on the painting’s security system. Peruggia was an Italian house painter who had helped to install the state of the art glass case the Mona Lisa was housed in, and yet somehow his name never came up during the police investigations. The Mona Lisa was missing for TWO YEARS before it was found in the fake bottom of a steamer trunk. It turns out that Peruggia tried to hawk it to every museum around but none of them would touch it, because let’s face it, who wants to suffer the wrath of the Louvre? He finally managed to persuade someone at the Uffizi Gallery in Florence to look at it, only to be turned in by the authorities as soon as his contact confirmed that the painting was genuine. 1) The story about the forger who made copies of the painting, could very well be fake itself. The only reference to the conspiracy plot including Valfierno and Chaudron is from a newspaper story published in 1932. There’s a great article here about it you would like to learn more. 2) Two years is plenty of time for anyone to make a very good copy of a painting, even one by Leonardo da Vinci. 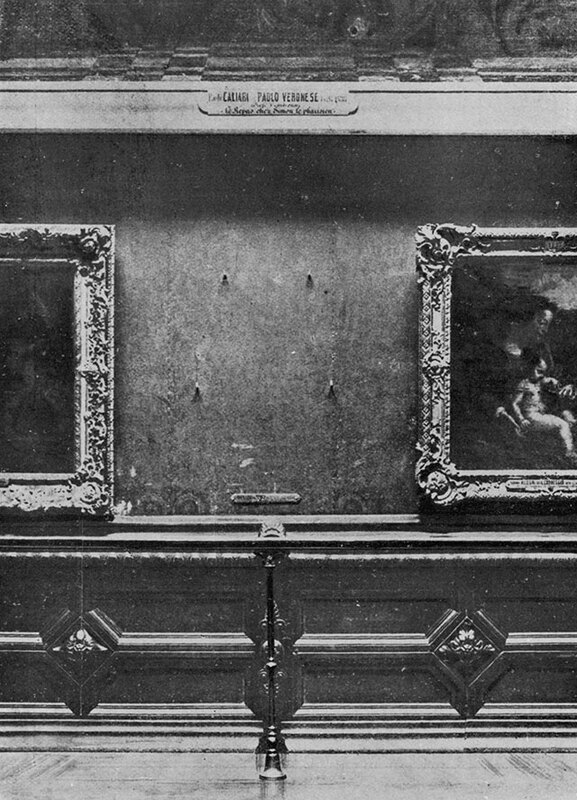 Since there will always be a hint of suspicion about the painting, the Louvre may never actually test it on the off-chance that the Mona Lisa that was returned to them may actually be a forgery. I just wanted to let you know that this unprecedented break in the programming has to do with the fact that I started a new job recently in an entirely new (though somewhat sadly not art related) job with a whole new skill set that I am having to learn on the fly. Rest assured that once I get my bearings the blog should be back up and running fairly soon. I’m hoping by the end of July. Hope you can bear with me, I do have plans for this blog, never fear. I’m afraid this is going to be another short post from me, I have been clearing off my desk and preparing for an exciting new work situation. But I couldn’t let the Friday go by without one fake for you, so here it is. It belonged to the Flower Family, who bought it in the nineteenth century and bequeathed it the Shakespeare Memorial Trust around 1890. It is now owned by the Royal Shakespeare Company. At one time this was consdiered the oldest and most authentic portrait of the great English playwright William Shakespeare. Beyond this portrait the only remotely accurate image we have of the Bard is taken from lithograph that was on the frontispiece of the first collected edition of his plays in the 1620s. Which is rather ironic, given that analysis in the 20th century has indicated that this painting was probably copied off the lithograph. 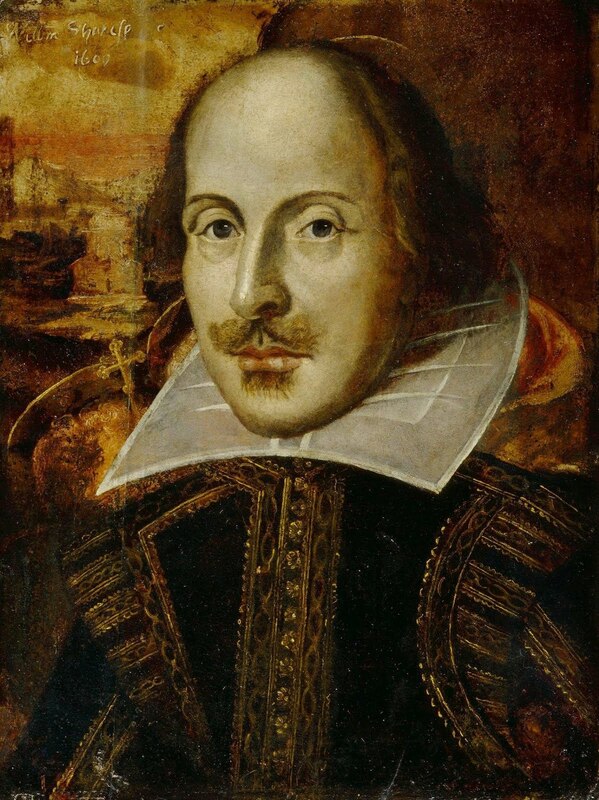 Researches at the National Portrait Gallery in London confirmed it was a fake when they found traces of chrome yellow in the Bard’s doublet on the normal layer of paint, a substance that was not available until 1814. Happy Friday everyone! Normally I would share with you a fake from history, but I thought it might be better to mention the uncovering of an international forgery ring, because, let’s face it, that sounds way sexier doesn’t it? According to this article, German police were finally able to nab two suspects they believe to be the ring leaders of an art forgery ring specializing in Russian Avant Garde paintings that has, at most recent count, at least six art forgers. Apparently this syndicate has been going on for several years, and has been selling works in the range of anywhere from a thousand euros to a million euros and more, capitalizing on the popularity of and lack of scholarship in the Russian Avant Garde movement. Another article mentions that the forgeries would come with forged authentication documents, which coincidentally is probably how the police were able to make any charges stick for the arrests.